Impacted wisdom teeth are simply molars that don’t have the room to grow in normally, causing pain and decay. 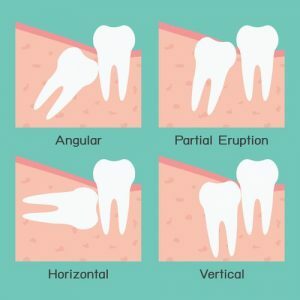 Ignoring the signs of impacted wisdom teeth can lead to misaligned teeth as well as a range of other dental issues, potentially leaving you in need of emergency care from a Frankston dental hospital. Here are 5 common signs you shouldn’t ignore. 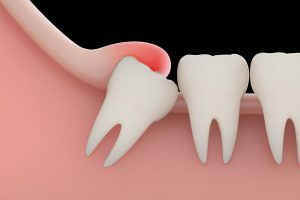 One of the ways you can tell that you have an impacted wisdom tooth is through the presence of swollen, painful or bleeding gums. If your gums at the back of your mouth are extremely tender to touch or if they bleed during brushing, it’s likely that your wisdom teeth are impacted. A trip to your local dentist in Frankston is crucial, as the situation will only worsen without treatment. The pains associated with impacted wisdom teeth can be felt through the general mouth region, the gums and the jaw. Wisdom teeth that are impacted can cause a considerable amount of pain that can quickly become worse. If you have an ongoing relationship with a dentist in Frankston, it’s a good idea to seek immediate treatment. Ignoring the aches can turn a mild pain into agony, necessitating a visit to a Frankston dental hospital. Another sign of impacted wisdom teeth is if you suddenly begin to experience a foreign and unpleasant taste in your mouth, or difficulty while trying to open it. This generally means that an infection is present, which can cause pain that makes it difficult to eat, talk and open your mouth. If you suspect you’re experiencing impacted wisdom teeth, make an appointment today with Signature Smile Studio. We’re dedicated to providing a superior level of care to help you maintain optimal oral health and hygiene.